JAINA Newsletter: JAINA Stall at JITO Exhibition 2019, Jain Milan 2019, Jain Center News, etc. 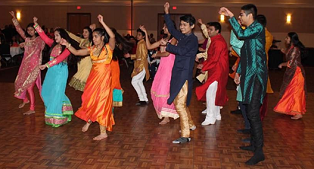 Recently, Jain Society of Greater Detroit had their 26th Annual Fundraising Dinner. Details are below. Young Jains Professionals (YJP) is having various activities and events. Read about their first National Dinner in the region and participation in Professional workshop. The First Annual Summer School on Languages of Jainism will be conducted at the University of Toronto from July 29 - August 2, 2019. Read more below. One devoted whole-heartedly to knowledge, faith and right conduct equally accomplishes in full the task of the Sramana. Q 1: What are the effects of Jnanavarniya Karma? Q 2: How do you accumulate the Jnanavarniya Karma? The First Annual Summer School on Languages of Jainism will be conducted at the University of Toronto from July 29 - August 2, 2019. It focuses on reading and contextualizing the prabandha literature, a rich archive of Jain histories, biographies, and stories composed mainly in Sanskrit and Prakrit. These narratives often display a historical consciousness rarely seen in other genres of Sanskrit literature, making them essential resources for the social and religious history of the period. This year’s summer school will survey the breadth of themes, figures, and places in the Jain prabandha literature and to consider the historiographical challenges and potential rewards of writing the history of late medieval India using these sources. 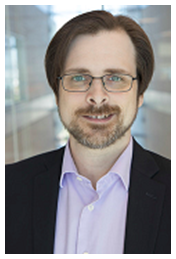 The workshop will be led by Steven M. Vose, the Bhagwan Mahavir Assistant Professor of Jain Studies and Director of the Jain Studies Program at Florida International University in Miami, Florida. He is also an expert in Jainism and a historian of medieval and early modern western India whose research proposes new ways to use Jain prabandha literature as historical sources. Each day will consist of three sessions: A morning reading session, an afternoon lecture or discussion, and an evening reading session. Readings will be mainly in Sanskrit with little use of Prakrit. and During these sessions, intermediate knowledge of Sanskrit is encouraged. Every day a lecture and discussion will be conducted to familiarize the participant with the debates spurring the field. There are no fees associated with attending the workshop. For registration and additional information, please contact Luther Obrock luther.obrock@utoronto.ca. Know more about Dr. Steven Vose here. On March 30th, Jain Society of Greater Detroit had their 26th Annual Fundraising Dinner - "EK Soneri Saanjh". The event was filled with a fund, food, and fun. They also had a Kidz Klub session where kids gain some scientific knowledge and played games. Here are some pictures from the event. Jains believe that time is infinite, without any beginning or end. 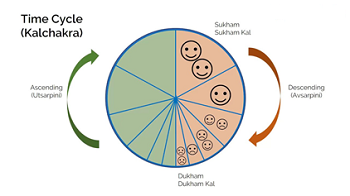 Time is divided into an infinite equal time cycle (Kalchakra). Every time cycle is further subdivided into two equal halves. The first half is the progressive cycle or ascending order, called Utsarpini. The other half is the regressive cycle or the descending order, called Avasarpini. Every Utsarpini and Avasarpini is divided into six unequal periods called Aaras. 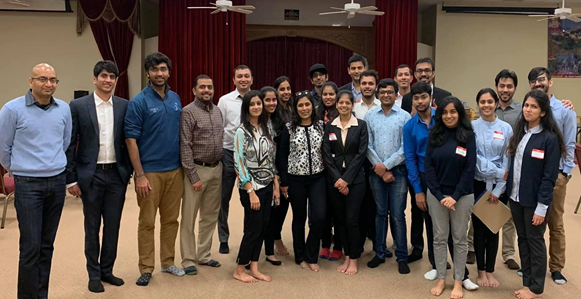 On March 2, 2019, YJP Toronto launched its first National Dinner in the region, where a remarkable group of Jain professionals came together to connect at Udupi Palace, while YJP Dallas volunteered at the JSNT Professional Workshop at the Jain Society of North Texas, which focused on the professional development of young Jains through leadership development, resume writing, and one-on-one career counseling. A 1: Ignorance, Inability to understand, Stupidity, Inertia, Incapable of being taught, Illiteracy, Stammering, etc. A 2: By Condemning knowledge and scholars and enlightened people. Laziness, contempt, and displeasure to study.